Running a temperature above 100 is not the ‘hottest’ thing that can happen to you. That too if it persists for more than three long days, forcing you to be in bed all day and night, its quite a nightmare. Yet, a chance encounter on one of those webpages made my day. My whole body paining, groggy eyed, I sat up and read whole of the archive section. Who wouldn’t like to dress up for that special date? To have someone as health conscious as you, wow!!! Guys, Believe me, This is the most important thing. 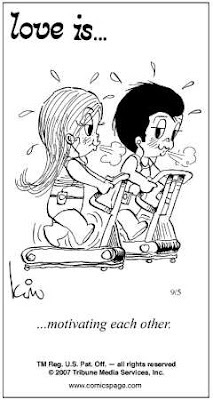 Love is… is a comic strip created by New Zealand artist, Kim Grove in the late 1960s, later to be produced by Stefano Casali. The strip is syndicated worldwide by Tribune Media. 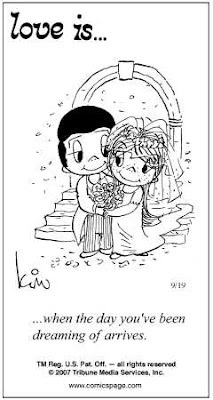 Love Is… (the title includes the ellipsis mark), began as a series of little love notes that Kim Grove drew for her future husband, Roberto Casali. 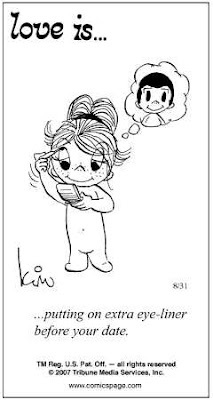 The strip was first syndicated in 1970 and one of her most famous drawings, “Love Is…being able to say you are sorry”, published on February 9, 1972, was marketed internationally for many years in print, on cards and on souvenirs. Kim Casali died in June 1997. 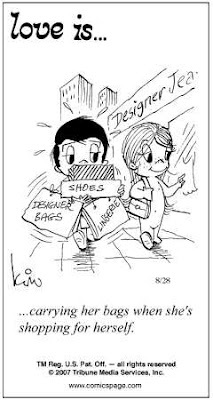 Since then, her son Stefano Casali has maintained the strip although it is always shown as “by Kim Casali” and signed “Kim” instead of Stefano. He remained in his regular occupation in advertising until September 1999 when he devoted his full time to the strip, working with Bill Asprey who sketches the characters. 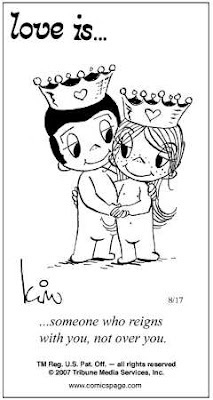 Stefano also took control of “Minikim”(named after his mother), the company that holds the rights to Love Is…. Its kinda funny who simple things like comics restores my faith in love and puts back that smile on my face. @arojIt was viral fever and not Valentines 🙂 Yes, alive and kicking now. A belated happy valentine’s day for u :)@papillonThanks a lot. I remember this series very well. It was syndicated in the TOI if I remember correctly. The series made for a lovely read.You are right, comics do retore faith in humanity. 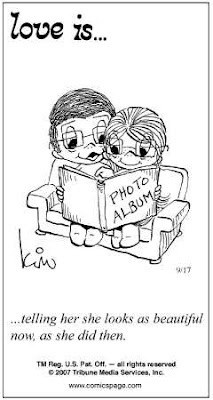 I remember viewing the strips in the newspaper when I was in high school, they were simple, yet touching. Thanks for compiling a post out of these. @aparnaI had seen these comics before, years ago, and seeing it all over again after such a long time had been a joy. It was very interesting for me to read that blog. Thank you for it. I like such themes and anything connected to them. I would like to read more soon. By the way, use Bluetooth blocker to jam all secret devices in your home or office. Cool story you got here. It would be great to read more concerning this theme. Thnx for giving that material.